Video games are ripe with opportunities for trivia, but there are some truths about the industry that just feel…weird. There are strange connections, prophecies, and what-ifs when it comes to gaming that seem surreal. We’ve combed through video game history to bring you some of the facts that go past interesting, through being weird, and all the way to making us question reality. In the early-1990s Jean-Claude Van Damme (born Jean-Claude Camille François Van Varenberg) was one of the hottest action movie stars in Hollywood. Movies like Bloodsport, Kickboxer, and Cyborg had cemented him as a big name actor, and in the strange, tie-in heavy days of the NES and SNES, it was only a matter of time before someone tried to put him in a game. \When Ed Boon began developing the first Mortal Kombat, he and his team wanted to take fighting games to the edge. It was easy to envision Van Damme, famous for movies with over-the-top martial arts violence, as the star of a fighting game. Mortal Kombat was initially supposed to star Van Damme, and carry his namesake. However, when the deal fell through, the developers began looking for other names. After the news came that Jean-Claude wouldn’t be entering a marketing deal with Midway, Boon and team bounced around names like Dragon Attack, Final Fist, and Death Blow. Eventually, the team just wrote “Combat” on their idea board, and someone decided to change the “C” to a “K” because it was the 1990s. Pinball designer Steve Ritchie was the one who suggested adding “Mortal” to the title, and 26 years later over 20 games have carried the Mortal Kombat moniker. Timothy Leary was one of the godfathers of the psychedelic subculture of the 60s, and even after the hippies cut their hair and started filling corporate boardrooms, Leary was still trying to figure out ways to turn one, tune in, and drop out. In the 1980s Leary became fascinated with high technology as a way to further the human experience and believed that video games were a way to help people understand their own psyches and their interpersonal dynamics with others. The only game Leary was heavily involved in was called Mind Mirror. Published by Electronic Arts in 1985, it allowed players to build a personalized psychological profile of themselves and their ideal selves. The game ended up selling 65,000 copies and was a modest success. 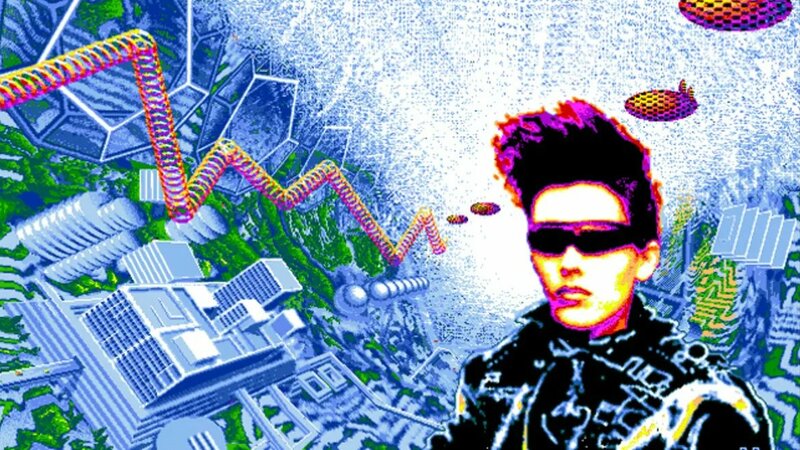 The most fascinating of Leary’s video game projects though was to be an adventure game based on Neuromancer. In the late-1980s a motion picture adaptation of the William Gibson classic was in the works, and Leary was able to license the video game rights for it. Neuromancer: An Electric Mind Movie was meant to be a choose-your-own-adventure type game in which you could go down one of four tracks. Unfortunately, the movie never got made, and Leary eventually ended up allowing Interplay to use the right to make their 1988 adventure, Neuromancer. Today, the remains of Leary’s Neuromancer, along with other early development titles he worked on, are part of the New York Public Library archives where they’re being maintained and stored. Deus Ex is one of the most lauded PC games of all time, but most wouldn’t use the word “prophetic” to describe it. However, there is a striking coincidence that occurred during development that makes it seem as though the game might have predicted the New York terror attacks on September 11, 2001. 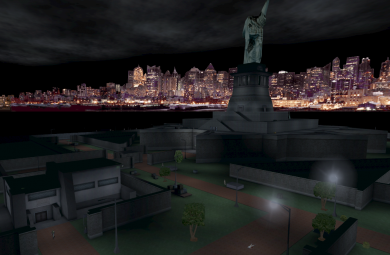 The beginning of Deus Ex takes place in New York City, and one of the first missions is located on Liberty Island. Game designer Harvey Smith had originally designed the background of the Liberty Island level, the texture you see in the skybox beyond the island, to include the whole New York skyline. There were textures made for the Twin Towers and New Jersey that never made it into the game because of texture memory issues. Instead Smith took half of the skybox textures and just flipped it to cover the other half as well. This left the Twin Towers, one of the most recognizable sights of the Manhattan skyline, nowhere to be seen. When players brought up that the Twin Towers were missing, the official explanation from Ion Storm, the development studio that made Deus Ex, was that the towers had been destroyed in the same wave of terrorism that had struck New York City a few years before the game. Deux Ex was released on June 17, 2000, and there was no way for Smith and team to know that barely over a year later their in-game story would become a real-life tragedy. Of course, it was just clever programming that facilitated the need for a reason why the Twin Towers weren’t in Deus Ex, but it makes you wonder. If you owned a PlayStation 2, you probably saw the start-up screen over a thousand times. The words “Sony Computer Entertainment” hovering over a swirling blue background with little white blocks of varying length looked cool, but did you know that each of those blocks means something? The pattern on the PS2 start-up screen isn’t generated at random. Instead, each of the little white blocks is a tower representing a game that you have saved on your memory card. The longer you’ve spent playing a game, the larger the tower will be. Maybe it’s weird, but thinking about how every time my PS2 turned on it was showing me how much fun we had together makes me a bit teary-eyed. Prison labor is a touchy subject in the West, with many saying that the state profiting from the work of inmates is unethical and immoral. In China, though, they’ve apparently embraced the concept to the point where in some prisons the inmates are made to farm gold in World of Warcraft. In 2011, The Guardian interviewed Liu Dali, a former prisoner at the Jixi labor camp in China. Liu was given three years in prison in 2004 for attempting to spur the central Chinese government to take action against corruption in his hometown. In addition to having to carve chopsticks and toothpicks at Jixi, Liu claimed that guards there forced prisoners to play WoW to farm gold. Liu reported that 300 prisoners were made to work 12-hour shifts mining gold in World of Warcraft. If a prisoner couldn’t complete their quota for the day, they would be tortured by being beaten with plastic pipes. 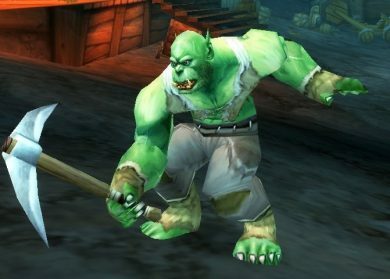 In 2009, the central Chinese government made it illegal for businesses without licenses to trade in virtual currency, but given the rampant corruption throughout the massive web of China’s governmental structure, it’s likely that prison labor is still being used to mine gold for World of Warcraft and potentially other MMOs.